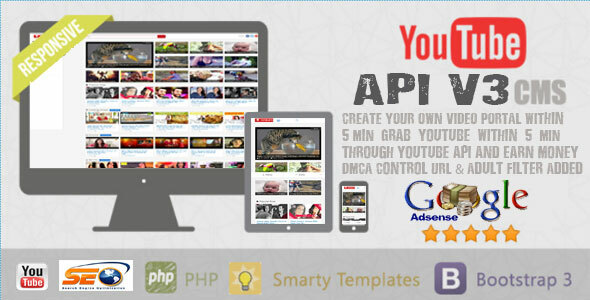 YouTube API V3 CMS builds your video cms that depends on youtube.com videos quickly and easily. It is powered by YouTube and it is fully automated so you don’t need to do anything. It features popular YouTube videos, channels and user profiles. You can also easily monetize this by adding your advertisement code.